Since 2011, @CLGHill has sustained an open-ended project of twitter poetry, “a florid poem flailing in reflexivity”. 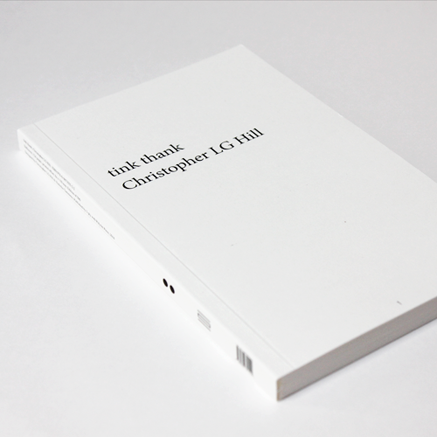 In his artist book tink thank, Christopher L G Hill has translated these haiku-like tweets for a non-virtual, printed environment. 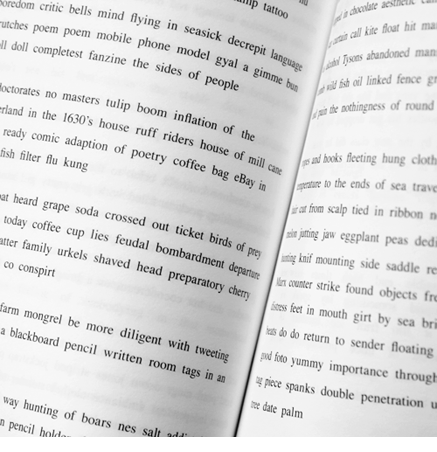 The result is not an analogue duplication; through addition, subtraction and reformatting, a new multi-stanza work has emerged that explores the lived nature of expression, impression and introspection. 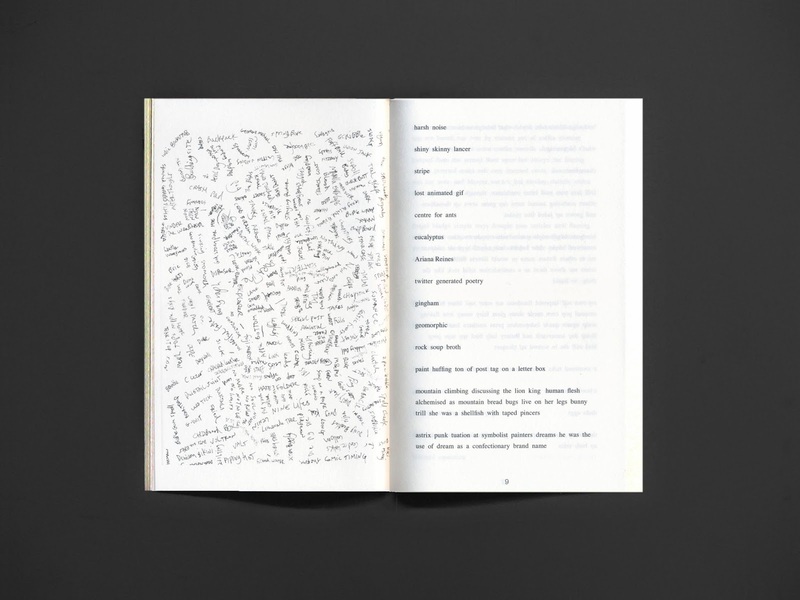 Programme: Christopher L G Hill will present a reading from tink thank, Alex Selenitsch will speak about words, and Justin Clemens will read Et en es… and palindromic poetry. 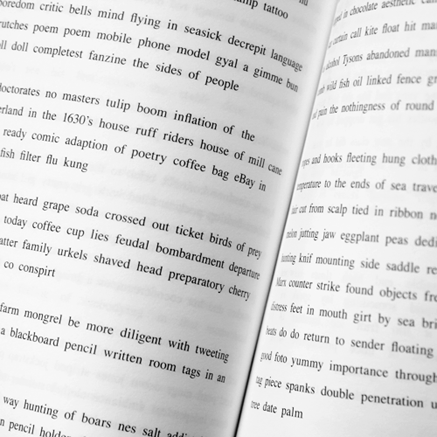 Programme: Lisa Radon will read from Prototyping Eutopias, Morgan Ritter will perform a selection of poetry, and excerpts from tink thank will be presented by a poet-actor to be announced. Copies of tink thank and other publications from 3-ply will be at the Museum of Contemporary Art (MCA/Sydney) Zine Fair. Sunday 24 May 2014, 11:00 am - 4:00 pm. 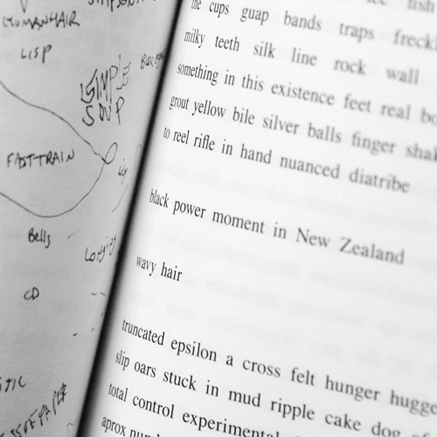 Visit 3-ply + Surpllus at Table 26.
publication, writing, editing and translation as an extension of art practice. including translations, hybrid works, and material archiving of digital ephemera. 3-ply is distributed in Australia and New Zealand by Perimeter Distribution. For wholesale orders in other regions, contact 3-ply here or Poly:be Press here.